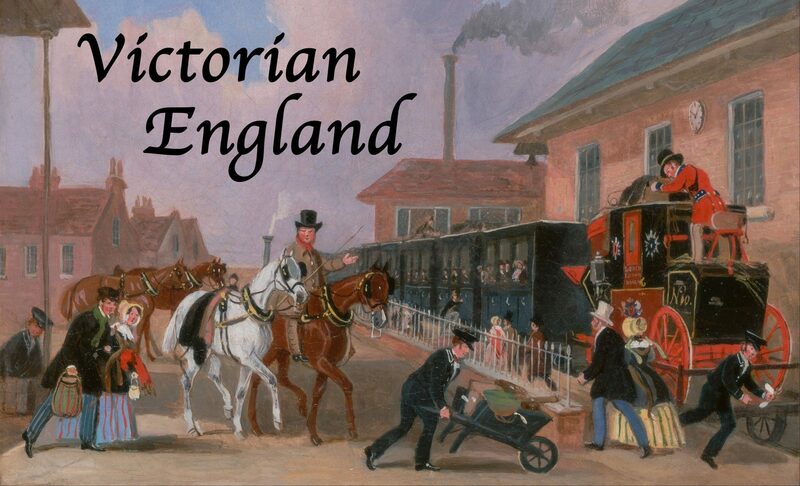 Victorian England is a 30-week course (fall, winter, and spring). The Victorian era is defined by the 63-year reign of Victoria, from her accession in 1837 to her death on 22 January 1901—a long period of peace, prosperity, and national self-confidence for the island nation. And then in August of 1914 the complacency and satisfaction blew up — the guns of August exploded. Starting in the Fall Quarter, we will go back to the roots of the Victorian era in the late 18th century: the French Revolution and the Napoleonic wars. We will then follow the British Empire throughout the 19th century, and end our year with a detailed look at how England and all of Europe fell into the terrible nightmare of World War I. Along the way, we’ll meet a fascinating cast of characters: Victoria, of course — but also Prince Albert and their eldest son, Edward VI; Charles Dickens, Jane Austen, Oscar Wilde, Florence Nightingale, Charles Darwin, William Morris, John Constable, and many others! British Empire, upon which the sun never set!